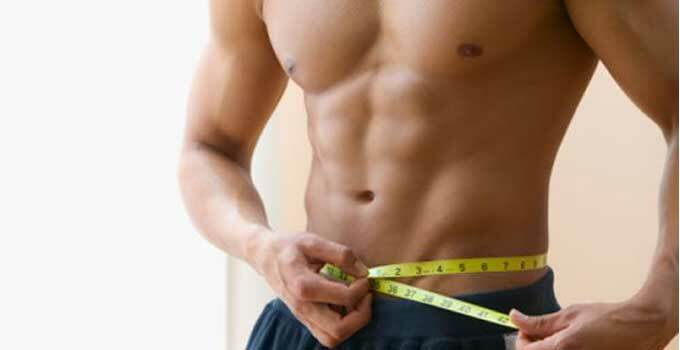 HOW TO GAIN MUSCLE AND LOSE FAT ? Few days ago I had written a blog on Weight loss vs Fat loss and I was flooded with queries on How to Gain Muscle and Lose Fat? So I decided to answer this query through a blog. Well it is no rocket science, follow few guidelines and you start feeling good about yourself. In my previous blog I said that you have to gain your muscle to reduce fat, why? Because maintaining muscles in your body requires lot of energy that helps to accelerate your metabolism, which in turn reduces the fat. ** Engage in strength training, at least 1-2/week, as it helps you build muscles. How? It first breaks your muscle to rebuild it and makes it stronger. Avoid all refined flour, packet foods, as it has preservatives, which will get converted into fat as its empty calorie and no use to body. Maintain sufficient water intake, as your muscle is about 80-90% water, you cannot have dehydrated cell in your body, if you want the metabolism to increase. Most important of all is to maintain your sleep and reduce stress levels. Have good sleep for 7-8 hrs and keep away stress as much as possible. Reduce your intake of sugar as much as possible, instead opt for Jaggery, Dates, Fig, Raw Honey – our very own natural sweetener. If the body does not recover well, it will go through a breakdown which is the recipe for losing muscles. So do rest well. These are few guidelines you can follow. If you follow this properly believe me you will see results however it depends from person to person and consistency on how well you follow this routine. Will try and keep up on your expectations. Welcome:)Hope it helps you in the long run. discussion. It’s a result of the passion displayed in the post I browsed. take note of. I say to you, I definitely get irked whilst other folks consider worries that they just don’t recognise about. Your style is very uniquhe in comparison to other folks I have read stuf from. Hi Russel, Thanks a lot for sharing it on your network. There are many people live in world .So, I remember this process anybody apply just for good result muscle and LOSE fat.Because ,it process have protein intake,sufficient water intake,Have good sleep for 7-8 hrs,sugar save etc. so apply from this time naw..
Great suggestions. These suggestions are really helpful for gaining muscle and lose fat easily. Thank you…. I’m Elizabeth. Thanks for this great article! I need some advice, I am bulking but at the same time I don’t want my belly fat to increase. How do I go about eating enough to build muscle and gain mass but making sure it doesn’t go to the belly? I am taking a supplement for the support on the process and seems really a good help on me. I also do regular workouts I don’t depend on the medication I take. Gratitude for sharing such tips with us, and it is really important to just lose fat not muscle in the process, and I’d like to share how these foods can actually help you a lot more in this fat loss journey. Thanks for sharing. This post really help me a lot and I have learnt some new things from your blog to lose weight . You wrote very helpful tips and tricks on this post. Really appreciated !!!! I think, every one should follow your blog, who want to lose their weight within 2-3 weeks. Nice one and keep sharing!